The beautiful Sophie waiting for her gallant. 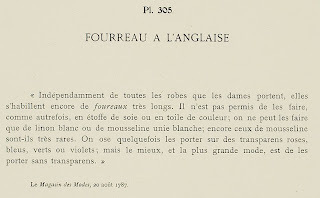 She is in a Fourreau à l'Anglaise etc. 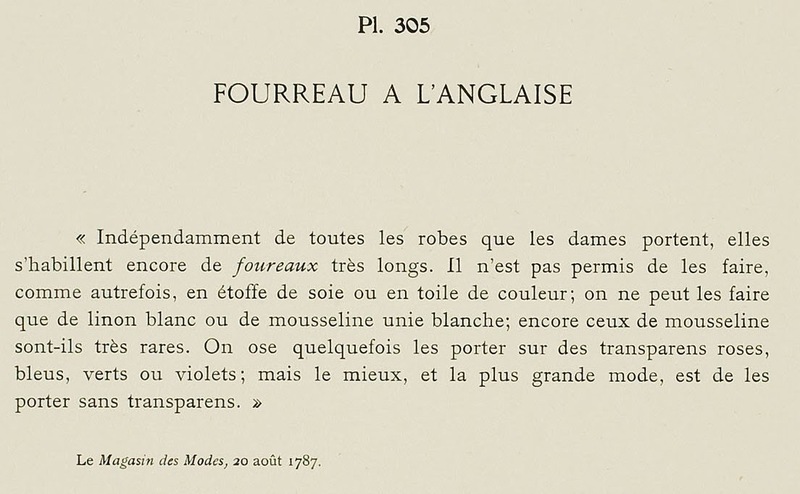 "Apart from all the gowns that ladies wear, they still put on the very long fourreaux. 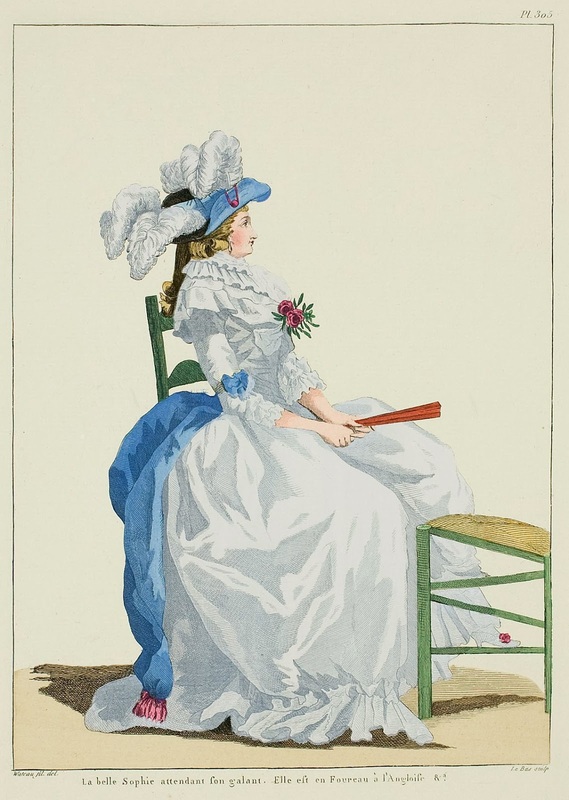 It is not permitted to make them as formerly, in a silk fabric or colored linen; they can only be made of white linen or plain white muslin; those of muslin are still very rare. One dares sometimes to wear them over pink, blue, green, or violet transparens; but the best thing, and the most fashionable, is to wear them without transparens."